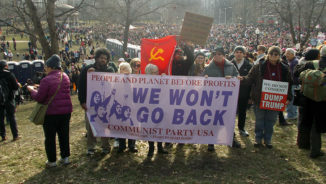 CPUSA-Boston comrades recently reviewed published peoplesworld.org articles regarding the 2018 midterm elections and mass organization. Afterwards, we developed local strategies for activism and education in the struggle. Our goal states: To work as a collective in advancing the aim of the Communist Party USA—by addressing the day-to-day struggles of the working class. We are taking to the streets educating people about local immigration issues, registering people to vote, and holding events about our planet and how we can save it. 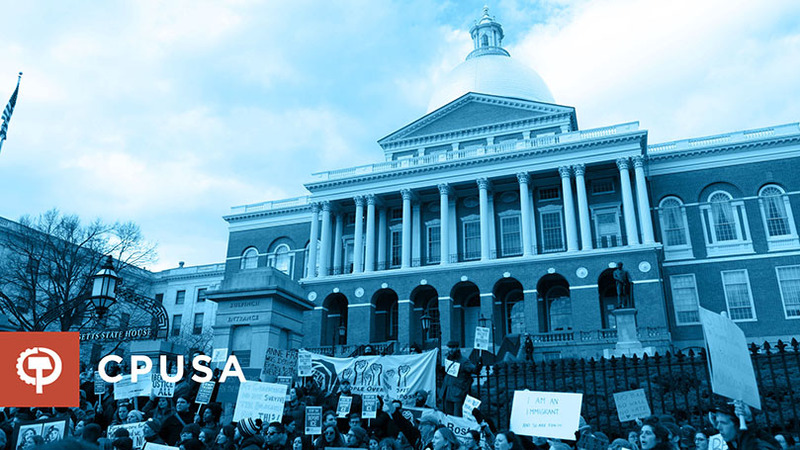 Hence, we agreed to an objective of establishing subgroups that will allow us to be productive in maximizing our resources in bringing about political, social, environmental, cultural, and educational changes to the Greater Boston area. For example, the education and cultural committee are working to use art, music, and local forums to address local, state, and national struggles. We are promoting community events about democracy—and how members of such have an obligation to be informed about the processes of a system, that must advance the plight of the working class. Thus, in participating in organized events about democracy, which will be held at the Center for Marxist Education in Cambridge, we are hoping such aims will allow us to partner in the community with other groups, organized against things such as gun violence. Furthermore, we want to expand who we are as we recruit new members to our club.